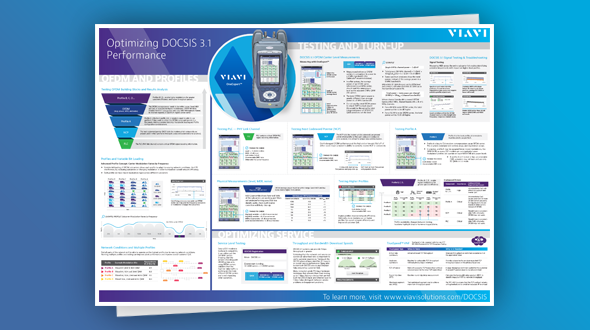 Check out our new poster for valuable tips on how to optimize DOCSIS 3.1 performance. Today, cable companies are under enormous pressure to have DOCSIS 3.1 installations up and running quickly. Why? Unprecedented customer requirements for bandwidth, and stiff competition from emerging players. VIAVI offers performance analysis and troubleshooting solutions to ensure successful installation and maintenance of DOCSIS 3.1® technology. 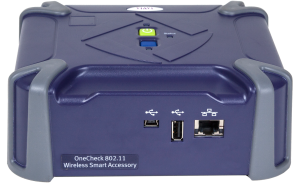 For example, the OneExpert™ CATV handheld tester, cloud-enabled via the innovative StrataSync™ application, offers complete fulfillment and service testing, and affords you end-to-end coverage for your deployments. DOCSIS 3.1 is the current iteration of the telecommunications standard known as Data Over Cable Service Interface Specification, or DOCSIS. This standard regulates the addition of high-speed, high bandwidth data transfer and internet services to existing coaxial cable lines used in conjunction with a cable modem. Originally developed by CableLabs in 1998, the standard has gone through multiple revisions and exponential growth in service speed in the ensuing years. The true origins of DOCSIS 3.1 can be traced to the first cable television operators of the late 1940’s and early 1950’s. Their networks were intended to provide basic television reception to consumers who may have been too remote to receive an adequate signal using a personal antenna. As satellite technology, channel propagation and high definition evolved in the decades that followed, coaxial cable television service became hard-wired into the world’s infrastructure. The proliferation of cable TV coincided with the advent of the Internet in the mid-1990s. Early Internet technology utilized dial-up modems that inconveniently rendered phone lines inoperable while online, while offering speeds of around 56 Kbps. Digital Subscriber Lines (DSL) were an incremental step forward with improved speed and lack of dependence on existing land lines. Despite the improvements, DSL still relied on twisted-pair phone wire architecture. By the late 1990’s, the potential of our existing coaxial network as the new and logical Internet pathway was recognized, and the DOCSIS standard provided a common specification to make cable modems interoperable. While the original DOCSIS, version 1.0, boasted speeds of just 40 Mbps for downstream and 10 Mbps for upstream, this still represented a 10-fold improvement over DSL. The direction for the future became clear. While DOCSIS 2.0 did not improve upon downstream speed, upstream speed increased 3-fold to 30 Mbps. The release of DOCSIS 3.0 in 2006 was another giant leap forward. Channel bonding technology provided the long-awaited boost to downstream speeds, reaching an impressive 1 Gbps, while upstream speeds approached 30 Mbps. Video streaming, social media and increased user adoption continued to push the envelope. To meet this growing demand, DOCSIS 3.1 has taken this fundamental technology to the next level. The latest iteration, DOCSIS 3.1, has raised the bar once again with downstream speeds up to 10 Gbps and upstream speeds up to 2 Gbps. Speeds in this range had previously only been possible using fiber optic technology, so this breakthrough with DOCSIS 3.1 technology has provided service providers flexibility in maintaining existing coax to home connections without significantly impacting performance. DOCSIS 3.1 has incorporated multiple advancements to make cable a viable player in the ultra-high-speed arena. The improvements engendered by DOCSIS 3.1 merit a closer look at the basic components of DOCSIS, and the opportunities for optimized speed, bandwidth and reliability that have been realized within them. The physical layer (PHY), as the name suggests, refers to the visible hardware elements of the system, including the equipment and wiring, as well as the frequencies used for transmission. Utilizing carriers in the range of 25 – 50 kHz wide, thousands of signals can now occupy the same cable that once housed a single television connection. 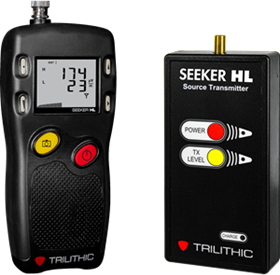 These signals take the form of sub-carriers, disseminating the signal into discrete elements that are later recombined by the receiver, thereby optimizing density and throughput. To put skinny carriers to work, improved technology to minimize or eliminate the guard-banding or spacing between signals was necessary. In DOCSIS 3.1, this has been accomplished through orthogonal frequency division multiplexing (OFDM). 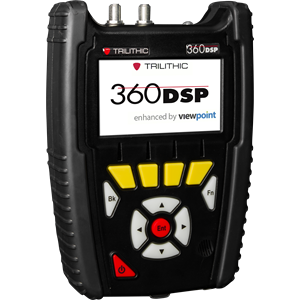 This technology takes the existing concept of channel bonding, first seen in DOCSIS 3.0, and builds upon it through the principle of mathematical orthogonality. Essentially, subcarrier signals placed side by side are transmitted orthogonally to one another, thereby enabling the receiver to accurately demodulate the individual signals. This concept is graphically equivalent to the peak of one wave aligning with the low point of an adjacent wave of the same frequency. Forward error correction (FEC) is a technique through which a receiver can detect errors in redundant signals, then correct them without retransmission. A new feature of DOCSIS 3.1 is a method of FEC known as low density parity check (LDPC). Although FEC existed in past DOCSIS versions as well, improvements in encoding have led to nearly 100% correctable LDPC codeword errors. In turn, this improvement has led to greater noise resiliency and a higher level of modulation. The DOCSIS 3.1 frequency range has been expanded in stages. This broad overall range is an important element in achieving exceptional upstream and downstream speeds. The current 3.1 frequency range extends from 5 MHz to 1218 MHz, with the upper limit reaching 1794 MHz for Full Duplex DOCSIS 3.1. The upper frequency limit for DOCSIS 3.0 was a bit lower, at 1002 MHz. Channel bandwidths within the 3.1 spectrum can reach up to 96 MHz for upstream and 192 MHz for downstream. When DOCSIS 3.0 was released in 2006, the amelioration from DOCSIS 2.0 was both significant and timely. By this time, the quantity of users and requisite bandwidth of applications had each expanded considerably. DOCSIS 3.0 addressed these concerns through significant speed enhancement on both the upstream and downstream, as well as the capability to support IPv6 addresses. The latter was particularly significant with respect to the growing user population, since the volume of addresses supported by IPv4 was reaching its limitations. Perhaps the most innovative and unique feature of DOCSIS 3.0, now even more fully exploited with DOCSIS 3.1, was the use of channel bonding. This allowed cable modems to combine multiple quadrature amplitude modulation (QAM) channels into groups to both send and receive data. DOCSIS 3.0 technology bonded together multiple 6MHz channels, thereby multiplying speed and bandwidth proportionally. The enhancement stemming from each new DOCSIS revision is truly remarkable considering the fundamental physical cable has remained unchanged over time. While channel bonding made DOCSIS 3.0 revolutionary, DOCSIS 3.1 has now distinguished itself through the innovative use of OFDM. Using this concept as a building block, the 6MHz channels have now been replaced by 25 or 50 kHz channels that can be packed even more densely. 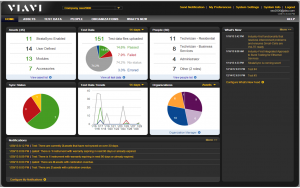 Improved energy management is another change included with DOCSIS 3.1 that is perhaps a little less well known. Modems now utilize a sleep mode, thereby enabling intelligently timed shutoff periods for improved efficiency. Prior to DOCSIS 3.1, Fiber to the Home (FTTH) was the only available option for consumers seeking the highest order of data transmission speeds. As fiber networks continued to propagate between source and user, the install base of fiber and ultimately the elimination of coaxial cable in favor of fiber seemed like a forgone conclusion. DOCSIS 3.1 has brought continued viability to traditional coaxial connections to the home in an environment where high speed has become requisite. The overarching architecture for a majority of these networks is Hybrid Fiber Coax (HFC). This simply means fiber feeding into neighborhoods, with coax cabling continuing to provide the “last mile” between fiber node and user. By contrast, when FTTH is employed, the transitions from coax to fiber are no longer required. While FTTH installation and DOCSIS 3.1 upgrades each require significant investment, both options provide exceptional performance. The correct balance between fiber and cable will depend on the condition and age of existing coax cabling and the bandwidth requirements of the users, along with the cost considerations. The compact size and versatility of fiber can facilitate the feeding of DOCSIS 3.1 coax networks with maximum efficiency. Full Duplex DOCSIS 3.1 continues the evolution, boasting symmetric service over cable networks. This means simultaneous 10 Gbps transmission in both the upstream and downstream directions over the same spectrum. In previous DOCSIS releases, the lower part of the spectrum had been dedicated to upstream while the higher portion was dedicated to downstream. The spectrum sharing of Full Duplex is accomplished through the use of self-interference cancellation and intelligent scheduling. The boost in upstream capacity is the real breakthrough for Full Duplex. While DOCSIS 3.1 has done well to keep up with user demands for streaming, gaming and other high bandwidth applications, the next wave of innovation, along with a burgeoning user base, will require upstream capacity in a league with fiber. With the development of Full Duplex, the future of DOCSIS seems assured for years to come. In fact, telecommunications insiders have hinted that DOCSIS 4.0, once completed, could reach downstream speeds up to 60 Gbps, for a six-fold increase over DOCSIS 3.1, by utilizing up to 6 GHz of the available cable spectrum. With these exciting enhancements in the horizon, the upside of DOCSIS will remain unlimited into the next decade. What Speeds are Possible with DOCSIS 3.1? While fiber certainly has some inherent advantages over coax cable both in terms of bandwidth and speed, breakthrough technology such as channel bonding has allowed DOCSIS to close the gap with fiber. DOCSIS 3.1 has also differentiated itself in other ways to remain a viable alternative to fiber. Learn more about DOCSIS 3.1 speeds and the advantages DOCSIS 3.1 can offer. 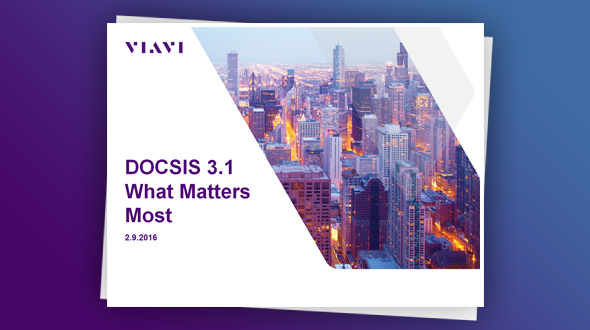 Learn more about DOCSIS 3.1 from VIAVI today! Proactive Network Maintenance (PNM) is a three-letter acronym that has taken the cable industry by storm. Learn how to add these groundbreaking capabilities to your toolbox. This paper examines best practices for measuring and analyzing DOCSIS 3.1performance using a combination of techniques. 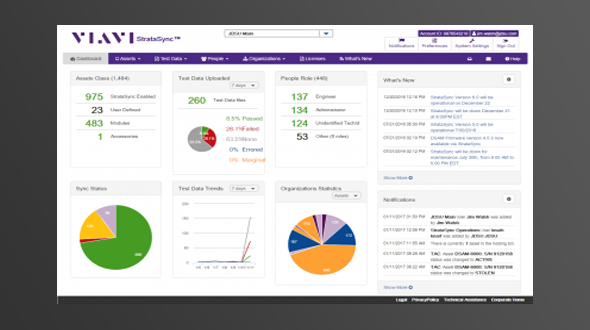 StrataSync is a hosted, cloud-based solution that provides asset, configuration, and test data management for VIAVI instruments. Join Light Reading, VIAVI, and other leading T&M companies in this one-hour discussion that will identify the hidden pitfalls of virtualization and talk about some of the best ways to side-step them. 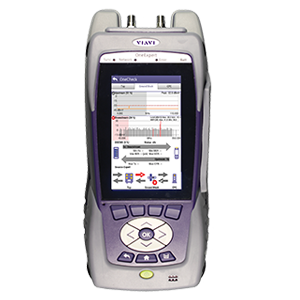 The VIAVI OneExpert CATV is the first meter with a built-in DOCSIS 3.1 modem to enable complete and simple DOCSIS 3.1 physical AND service analysis, and enables sweeping with a fast and simplified process. This detailed poster will give you valuable tips on how to optimize DOCSIS 3.1 performance, including OFDM and profiles, testing and turn-up, and optimizing service. But what makes DOCSIS 3.1 so unique, and how will testing change? This paper looks at the two main technologies behind this latest version. Cable service providers will deploy DOCSIS 3.1 very soon. This webinar explains key components of DOCSIS 3.1 and gives practical insight into how to verify performance of these new services to assure the highest-quality customer experience from the start. Learn what to test and why. 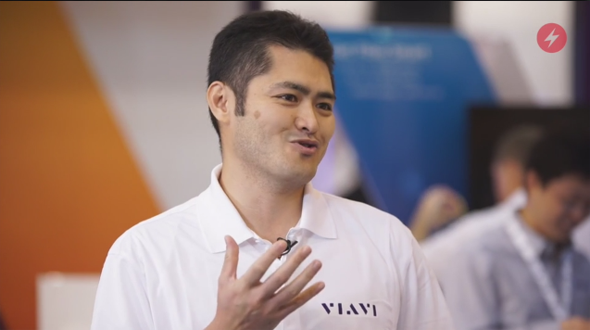 Hear from a VIAVI expert about DOCSIS 3.1 deployment issues and emerging virtual test technology. 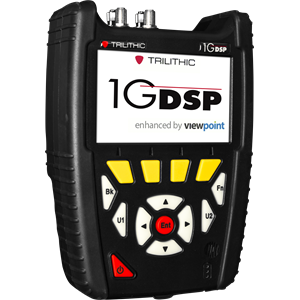 OneExpert CATV with DOCSIS 3.1 is a signal analysis meter that simplifies and automates cable installation and service test processes. 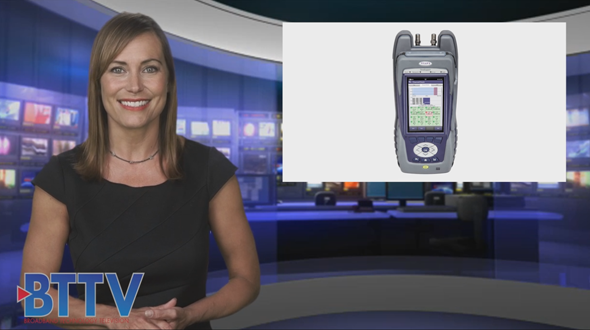 Get a quick overview of our user-friendly signal analysis meter platform. Can DOCSIS 3.1 Rival the Speeds of Fiber? DOCSIS 3.1 Fundamentals - Are you prepared for DOCSIS 3.1 migration?